In honor of Pet Dental Health Month. we are sharing PetSafe’s Fresh Facts about Pet Dental Health Facts Infographic. Every pet parent must know that periodontal disease is the most common clinical issue among dogs and cats. Statistics shows that eight out of 10 pets will have periodontal issues by age three. Do you know the leading symptom? Bad breath is the major cause of periodontal disease, an infection of the gums. A healthy dog with healthy teeth should not have bad breath. Doggy bad breath is not common even in senior dogs. The most effective way to care for your pet dental health is by brushing. Brushing you pet’s teeth regularly helps prevent tooth and gum disease.For many pet parents, brushing can be challenging as many pets don’t like to get their teeth brushed. 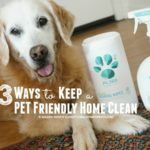 PetSafe offers three simple pet dental health solutions. 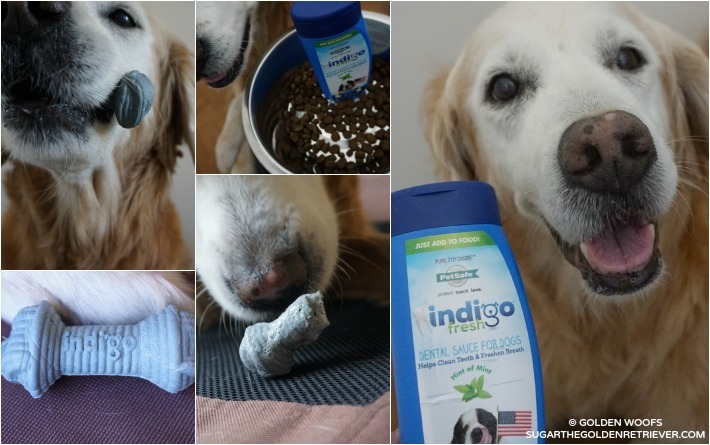 PetSafe created 3 Nourishing indigoTM Dental Treats. These indigoTM dental treats contains hexamethaphosphate (HMP which freshen breath, safely removes plaque and reduce tartar up to 80%. 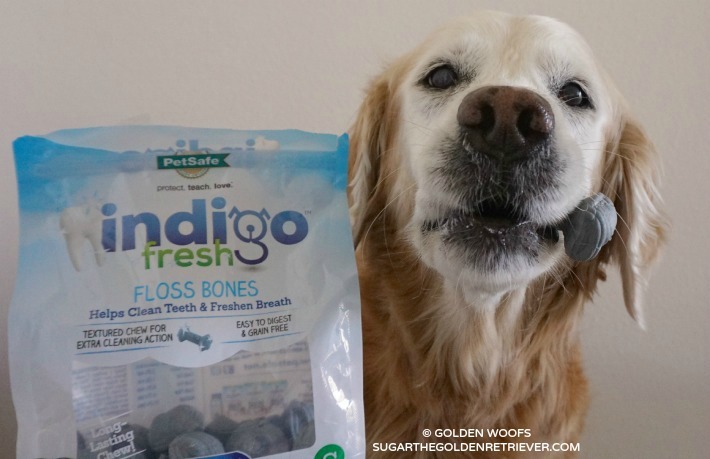 1) indigoTM Fresh Floss Bones are textured dental chews for extra deep cleaning action. These dental treats are easy to digest, grain free and formulated with no artificial flavors, colors or preservative. It’s signature light blue color comes from natural fruit juices and blueberries. 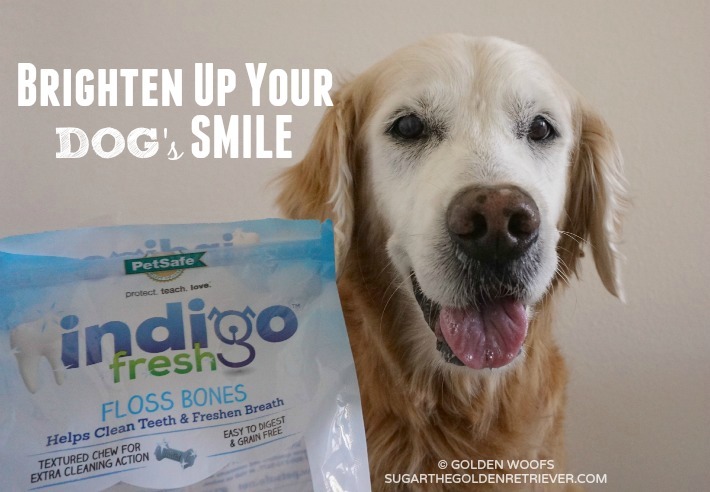 2) indigoTM Fresh Dental Sticks are crunchy, low calorie dental snack that help remove plaque and tartar. These treats contain premium ingredients for an all-natural chicken and blueberry flavor. These savory dental treats also gives your dog minty-fresh breath. 3) indigoTM Fresh Dental Sauce is a food topper. It helps clean your dog’s teeth and freshens breath at every meal. It comes in two flavors: Sweet Potato and Hint of Mint. This is a great option for dogs with sensitive teeth. Pet Dental Care MUST BE a Daily Ritual. Brighten Up Your Dog’s SMILE! To learn more about these indigoTM Fresh products, we invite you to visit PetSafe Pet Care Treats. Follow the giveaway tool for a chance to win these indigoTM fresh products. On Instagram, follow us @goldenwoofs and join our #Woofs4PetSmiles photo contest. These dental chews are AWESOME! We love them too! Thanks for all the great tips!! Dental health is SO important!! oh boy, they look great… I will check all stores now, that are the perfect dental sticks for me. thanks for a super review sugar! Great tips! Those look great, we’re going to have to heck them out. Mom is always brushing our teeth! Those look super to US. SUGAR MOM GOT ME SOME NEW CHEWS YESTERDAY…FROM OUR UNLEASHED DOG AND KITTY PET STORE. THEY HAVE ALL HEALTHY PRODUCTS MADE WITH GOOD STUFF. I’VE HAD ONE SO FAR I SEEM TO LIKE IT. great inforgraphic, I brush on occasion and use oravet sealer. Great review Sugar and anything to help keep those nashers clean. Have a tremendous Thursday. had her teeth done.We also give chews that clean. We love their dental chew bones, but Mom doesn’t like that they turn our output blue. Nika definitely needs something to help her “brush” her teeth. She will not let me near her mouth. She only gets her teeth cleaned when she gets a haircut. I would love to try these for her. I brush their teeth regularly and give them safe chews that promote dental health. I brush my dog Artie’s teeth. We also give him dental treats. I give them the treats but I also brush their teeth. 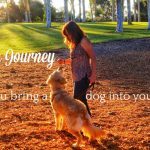 I give my dog plenty of crunchy treats and toys to chew on. I put a dental wash in the water bowl, use the dental foam and give them crucky bones to chew on to knock off tartar build-up. I usually give my dogs dental treats to help with dental care. Thanks! I buy milk bones for my dogs. I have the Vet check his teeth and I buy dental chews for Bailey. I give daily dental chews, put dental liquid in water and have dental cleaning professionally done once a year at the vet. I give him treats but I also brush their teeth. Olivia and Jaxon get their teeth brushed weekly and they get dental bones and chew toys during the week. They are not fond of getting their teeth brushed. I just got in some dental wipes I am excited to try. I also thinking of going with a finger brush instead of the doggie toothbrush I have trying to make the process less of an ordeal than it currently is for them. I brush my dog’s teeth many times a week. I’m taking her in March to get a thorough dental cleaning too. We brush Bean’s teeth regularly and give her crunch treats! I brush my dogs teeth but I should really do it more, they don’t enjoy it and kind of cringe when I bring out the toothbrush. I bought a water additive that I am trying. I recently got a finger brush and it seems to work better. Always looking for new products. My dogs teeth are bad and due to complications he cannot get them done professionally. I give my dog dental sticks and also brush her teeth. We brush their teeth occasionally but use greenies. I give her greenies to chew on. We should really brush our dogs teeth! I have been giving my pup greenies and occasionally brushing her teeth, when she is in the mood to let me. I pay to have them cleaned reguarly! I take care of their dental needs by giving them dental treats coupled with vet care. Go to routine vet appts. Our dog is not a fan. I brush their teeth a couple of times a week and get them cleaned once a year! Regular check ups with the vet and lots of crunchy treats! We give our dogs dental chews, but not as often as I’m sure we should. I would love to try out the indigo fresh products. I brush her teeth which is not easy with her mouth so small. She oly weighs for pounds and just turned three. Lucky gets his teeth cleaned when he gets a haircut.